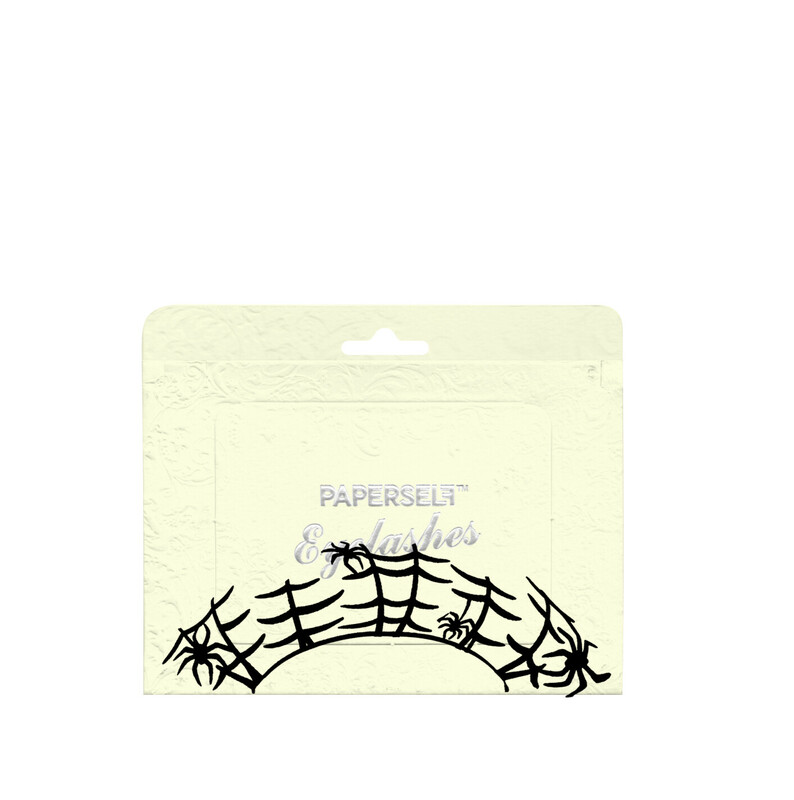 Weave a web of intrigue with the spooky Paperself Eyelashes in ‘Spider’, an origami-inspired set of false lashes cut from coated paper. The intricate lashes feature a cluster of spiders hanging from their webs, with larger spiders framing the outer corners of the eyes. Each set of Paperself eyelashes has symbolic meaning rooted in Chinese culture, and these lashes represent mysterious power and the magic of night. 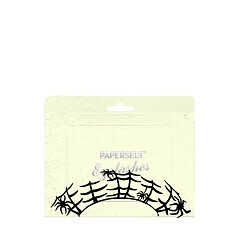 Paperself full-strip lashes allow you to dress your eyes and make a unique statement. Each strip is a little lengthier than the average false lash to increase the opportunity for creativity and allow you to cut and arrange with ease. Create an artistic eye look by arranging your own lash collage, or create a subtly beautiful look by using selected elements of your lash strip.